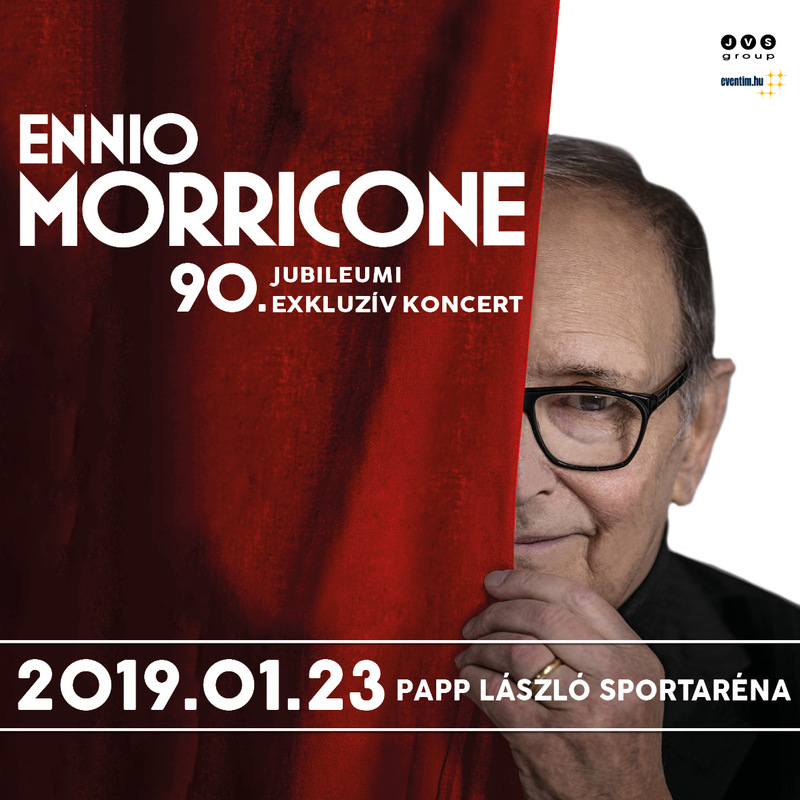 Herald News: Interested going to il Maestro Ennio Morricone concert @ Budapest – 2019.
within less than 2 month, the Italian legend, il Maestro Morricone, on Wednesday, January, 23. 2019., will host a jubilee exclusive birthday concert at the Papp László Sport Arena, where the best-known melodies will be heard. The maestro will be accompanied by a full Symphony Orchester, along with about 250 musicians participating at the monster production. The Hungarian musicians sent photographs to the 90th birthday in November to Ennio Morricone wishing good health and success to the composer. Morricone received the greetings in his Roman home and thanked through his management. The musical magician deeply was touched by the gesture of the Hungarian musicians. There is hardly to name another living true virtuoso as Ennio Morricone … a film composer, a legend whose work has reached far-far-away beyond borders. Morricone’s legendary sounbdtracks such as: “Once Upon a Time in The West” (American-Italian-Spanish Western – by Sergio Leone) or the “The Good, The Bad and The Ugly” … A true epic Spaghetti Western film with Italian music composer – Director: Sergio Leone … by far the most ambitious, unflinchingly graphic and stylistically influential western ever mounted together with Morricone’s music.The maestro’s soundtracks are well recognised and cannot be divided from the screenplays. The maestro’s soundtracks will not be different here in Budapest at the concert. The audience may close their eyes and layback as hearing the melodies which will fill the air and soul at the one time concert in Budapest.